Missed or delayed diagnosis. This by far is one the most prevalent malpractice claims, and are based on the question of whether a reasonable and competent doctor would have made the same mistake under the same circumstances. These cases can also be defended on the principle that the patient failed to disclose symptoms, history, or other relevant information that would have altered the physician’s course of action. Childbirth injuries. The old adage is true—Obstetricians often pay the most for malpractice insurance. However, the good news is that these cases again go back to the doctor’s competence, meaning some issues are easily proved to be unavoidable or that they would have occurred under any qualified doctor’s care. Surgical errors. These can have a variety of causes, including both anesthesia and post-op care. These cases truly require a thorough examination from start to finish to determine if or when the issue occurred. With so many people involved in a surgical case, you need an experienced attorney who specializes in defending nurses and health care professionals. The right attorney will know everywhere to look when examining the strength of the case. Medication errors. These issues usually have one of three causes: the patient was miss-prescribed or over-prescribed, someone failed to administer medication correctly, or something was missing from the patient’s history that contributed to the error. Again, an experienced attorney can help uncover every stone. 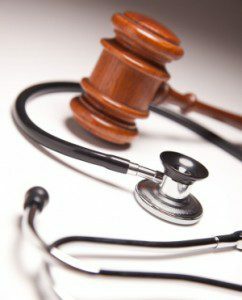 Our team of medical license defense attorneys knows just how frustrating malpractice claims can be. Whether you are looking into prevention methods or need representation, contact us at (949) 727-7077 for a consultation. Let us help you preserve your career so that you can continue to make a difference for the patients who need you most. What Is a Search Warrant and What Are Your Rights?